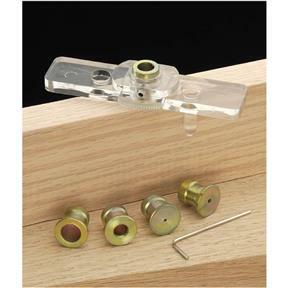 Drill the center of stock up to 1-3/8" thick with this automatic Centering Jig. Simply insert the appropriate size bushing in the jig, straddle the stock with the two guide pegs, twist the jig so both pegs make contact with the sides of the stock and drill the hole. 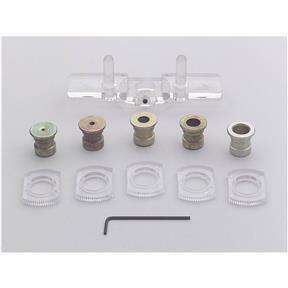 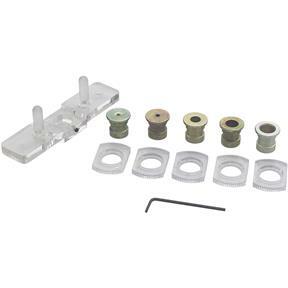 Includes 1/32", 1/16, 1/4", 5/16" and 3/8" drill bushings.